That snow outside will be gone soon, and we will all be gearing-up for the upcoming sailing/racing season. Jump-start your preparation with a special presentation by one of Quantum Sails newest members -- world-champion tactician and helmsman Cameron Appleton. 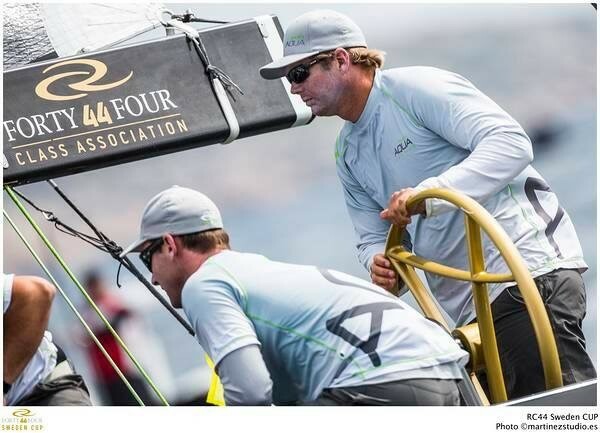 Cam is one of today's most in-demand sailing pros, with notable successes in many classes including super-competitive offshore one-designs like the RC44, Melges 40, Melges 32, and Melges 20. Putting on his coaching hat, he will be sharing techniques, strategy and technology from the high-end yacht racing circuit that can be used in PHRF and club racing. Topics will include boat handling techniques, crew management, sail technology, worthwhile gear upgrades, and race strategy, to name a few. Cam wants this to be an interactive session, so come armed with your best sailing/racing questions! Come join your friends from the sailing community for a wide-ranging discussion on boat, crew, and racing performance. We will also have some announcements and giveaways in preparation for the 2019 NBYA season. Don't miss a great evening! This is a free event, but make sure we have enough seats by registering here.